Saskatchewan towns rely on non-resident waterfowler revenue. With fewer than four people per square mile, Saskatchewan has vast space for non-resident hunters. Saskatchewan is a popular destination among North American waterfowl enthusiasts. It is considered the breadbasket of the Prairie Provinces, known for extensive wheat fields and wetlands that offer diverse waterfowl hunting second to none. The landscape is a mosaic of prairie grassland, aspen cover, agricultural fields and wetlands. The prairie marshes produce incredible numbers and varieties of diving and dabbling ducks, and in the past two decades, the province has become a machine for producing Canada geese. Located in the heart of the Central Flyway, the environment offers a plethora of ducks and arctic nesting geese that migrate and stage throughout the province. With a large rural population, Saskatchewan just recently reached the mark of 1 million people living within its borders. The population seems even smaller when you compare the size of the province at 227,100 square miles to North Dakota's 70,704 square miles, which is geographically located directly below Saskatchewan. With fewer than four people per square mile, you can travel a long way between farmhouses. Agriculture is the economic mainstay for Saskatchewan, but the residents also rely heavily on recreational hunters and anglers for an influx of tourism dollars. Hunters are a major reason small towns continue to flourish in this quiet Prairie Province. Some jurisdictions in Canada have hinted at restrictions for non-resident hunters, but not Saskatchewan. The province welcomes non-resident hunters with open arms. Hunting in rural communities is so essential that Saskatchewan Environment commissioned an economic impact evaluation for ongoing policy- and decision-making. The organization administered a survey to more than 1,000 hunters who had hunted in Saskatchewan, asking hunters to respond to questions about hunting patterns, expenditures, attitudes, demographic information and travel. The study focused on economic, social and environmental impacts of non-outfitted hunting in the province, looking at hunting trends in North America and the fact the area decreased in popularity as a hunting destination through the 1970s and 1980s. However, American hunters interested in ducks and geese grew significantly from 1991 to 2001. 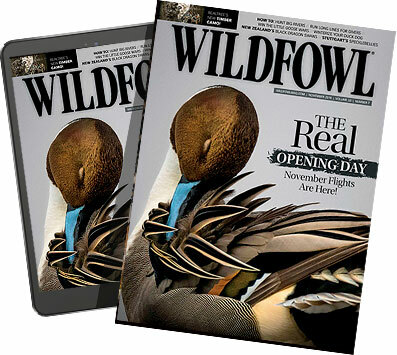 In the United States, a burgeoning market for Saskatchewan's waterfowl hunting created strong growth in out of-province license sales, which increased to make up 20 percent of all license sales. One in every five non-resident hunters visited Saskatchewan to hunt waterfowl. Non-resident hunters of Saskatchewan reported they value hunting as the best leisure-time activity. Saskatchewan has more non-resident waterfowlers than resident duck and goose hunters. The evaluation looked at big game, upland birds and migratory waterfowl hunting, but the demographics can be separated to see the impact of each activity. Numbers are easy to track, because all waterfowl hunters are required to purchase a Federal Migratory Game Bird Stamp. In the year of the evaluation, Saskatchewan residents purchased 7,138, Canadian residents another 1,464 and non-residents of Canada a whopping 9,671. The numbers show that Canadian hunters prefer to hunt big game, and the province has plenty of room for waterfowlers. With fewer than 20,000 waterfowl hunters in the entire province, competition for hunting spots is extremely low when compared to most places in North America. The evaluation revealed interesting findings about economics and hunting. Saskatchewan resident waterfowlers are dedicated, accounting for 40 outings for each non-resident day in the field. However, residents seldom travel more than 50 miles from home and spend little on activities, other than fuel, licenses and ammunition. Non-residents, on the other hand, provide a huge influx of tourism dollars, which in economic terms are considered an export. Export products bring new dollars into the province and account for jobs and benefits in small communities that would struggle without the yearly tourism visits from non-resident hunters. The resident hunters also play a critical role in helping disburse money throughout the province and taking it from urban to rural communities. Both are important considerations and show why hunting is such a vital activity. Saskatchewan holds so many ducks and geese each fall because the birds can feed on waste wheat and barley. Non-resident, non-outfitted bird hunters will have a long-lasting impact on Saskatchewan's economy, as they have a higher loyalty rate than the Canadian hunters. The repeat visitation of 66.8 percent for non-resident hunters is 4 percent higher than Canadian residents. Non-resident hunter loyalty is high, because once they experience Saskatchewan's quality hunting, they return. A high number of non-resident hunters has great social impact. To determine the extent, the survey polled hunters on their emotional attachment to hunting. Hunters cite a high value for outdoor activities, relaxation, recreation and camaraderie as reasons for hunting. They also feel, to a large extent, that hunting is a part of culture, lifestyle and tradition that allowed them opportunities to spend time with friends and family. Survey respondents were also asked to rate hunting against other leisure-time activities. Not surprisingly, non-resident hunters valued hunting the highest relative to other leisure-time activities. The average ranking (on a scale of 1 to 10, with 10 being the best) was Saskatchewan residents at 7.9, Canadian residents at 8.5 and non-residents at 8.8. Rural people have a tie to the land, and it is evident in Saskatchewan by the number of people who voluntarily join the Saskatchewan Wildlife Federation. The SWF is a nonprofit organization representing the province's hunters, anglers and conservation-minded individuals, and it is also the largest not-for-profit organization, per capita, in North America. Saskatchewan. Between the SWF's membership and the number of non-resident hunters, strong values are created for habitat and other aspects of environmental stewardship. Hunters have a vested interest in the environment, which translates into objectives such as animal population maintenance and habitat preservation. As part of hunting license fees, all Saskatchewan hunters pay into a Fish and Wildlife Development Fund used to secure, monitor and improve fish and wildlife habitat throughout the province. The fund has helped conserve close to 200,000 acres of land. It is one of the reasons the SWF has been an advocate for maintaining non-resident, non-outfitted opportunities in the province, even though SWF represents resident hunters. We live in a complicated world. Many of us just love to hunt ducks and do not stop to realize our actions and passion translate into economic benefits that ensure employment, influence environmental decisions and provide funds for managing the habitat and resources we cherish. We simply look forward to getting back into the field, visiting landowners or getting to stay at a local motel where we've managed to develop lifelong friendships.